Bus or take the Elliott Bay Water Taxi from downtown Seattle Pier 50 to Seacrest Park. We're just a 5-minute walk from the pier. Name your price and we'll build you a party, a banquet, a private dining event, a wedding reception or rehearsal dinner. 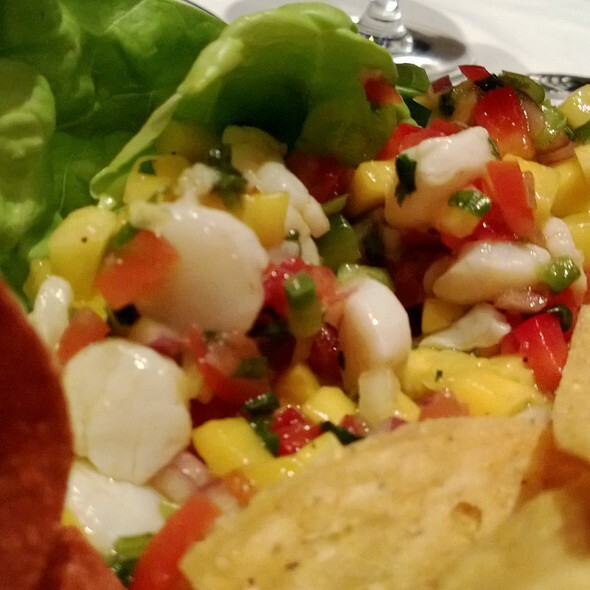 Salty's caters your place or ours! Brides rate Salty's with five-star reviews at http://www.weddingwire.com/reviews/saltys-on-alki-seattle/5bec7788bdf7ef8c.html. Please contact us at (206) 937-1085. We look forward to serving you. Located on Elliott Bay with sweeping views of the Seattle skyline, Salty's is "One of the world's great view restaurants," says a local critic. 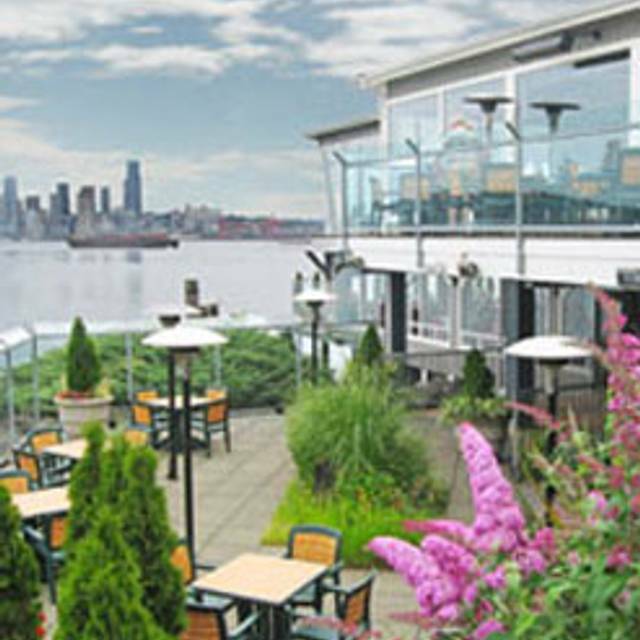 This restaurant wins annual awards Best of Western Washington seafood, brunch, best view restaurant, best outdoor dining. Whether dressed up or casual, in the dining room, on the deck, or in private dining rooms, guests love Salty's for fresh Northwest seafood, wild Alaskan salmon and halibut in season, live Dungeness crab, fresh Northwest oysters, clams and mussels, USDA prime charbroiled steaks, gourmet lunch salads and sandwiches and refreshing creative cocktails. Live music in the Cafe-Bar on select evenings. Happy hours daily in the Cafe-Bar. Harissa Clams & Mussels – Vancouver Island, B.C. Thank you for considering Salty’s for your Mother's Day celebrations. Out of consideration for all of our guests, we ask each party to keep their time to an hour and a half to ensure that each of our reservations are seated on time. Great :). Server was perfect, view was beautiful and food was amazing!!! Found this year the food was mediocre. The ham overcooked,lamb dry. The crab legs didn't have meat, salads not much the lettuce was swimming in mayonaise. Desserts, bad. Outrageously priced for what we get. The appetizer was Salty’s trio, which was very expensive, the calamari part of it was mostly tentacles and ice cold. Very disappointed. The lobster tail was good but the bed of risotto it was sitting on was cold and 2 burned asparagus stems. I didn’t really like our seats either. Once again just because there was only two of us, they stuck us in a corner by the waitress station... not nice for a restaurant known for its view. 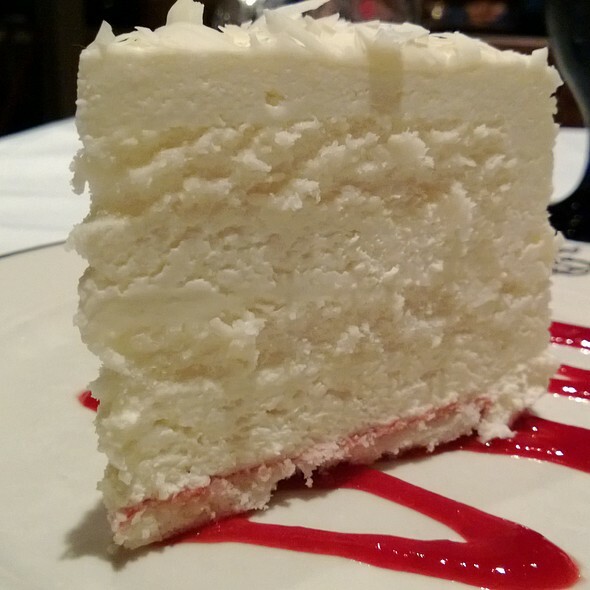 I was a birthday dinner, and I had to ask if they did anything special to the waitress, she knew full on they did, but didn’t offer until I asked... for the the very expensive price of this place, I was very disappointed and would not recommend or go back again! Chad was an awesome server. We had a great time for my daughter’s birthday lunch. The food was plentiful and delicious. Thanks for the yummy cake with candle for her special day. Incredible Weekend Buffet. Superb quality and atmosphere. Pricey, but well worth it. Wish I was younger so I could sample all the flavors. Extremely expensive, I knew it was going in, but the tab still shocked me, 3 adults and one child came to $260 after tax and tip, it’s great for a buffet but still issues with over crowded line areas, a lot of the food was luke warm, by the time I sat down most of my “hot” food was cold. Best part was definitely the Habanero Bloody Mary and the scones, great service, ok food, not worth the money. Took my niece to celebrate her acceptance into many prestigious colleges. We have been eating Salty’s brunch for years. We were seated down at the bottom with a view but it was noisy enough that we could barely talk and it was very cold (temperature wise). Breakfast started out nice with fresh donuts. The mini waffles were amazing and the women serving them was delightful. The blueberry ones were so good. The bacon was a little soggy but the hash browns were very good. A lot of food options but I found the salads and the pastas to tasteless and really just not good. The actual pasta bar is much better. The desserts were such a let down. Nothing seemed fresh, almost store bought. The strawberries on the dessert bar were big but never full. I went up three times and the bowl was empty. The strawberries are our favorite part. When we finally got a few strawberries the chocolate was awful. It’s usually such a treat, but this was way to thin. So thin very little flavor. We talked about those strawberries days before our brunch so it was a letdown. Our server was nice and we had what we needed. For $200 for two people I would have expected a much more dazzling experience and certainly expected to be wowed. I don’t know that I would return at this point. It has always been a favorite of ours and I’m sad to think of how great it used to be. $63 for brunch. Either the price when up or the quality went down or both. I remember that I used to really like coming here. But now it was close to $300 for a family of 4 and the food just wasn't worth it. Maybe the best views in Seattle, as you get a 180 degree gaze at the Seattle skyline, along with all the maritime traffic that goes by. Food is delectable, although the salmon steak wasn't quite as hot as my wife would have preferred. My crab-filled steelhead was perfect. We both enjoyed sharing an excellent caesar salad. The Fog Prince Pinot Noir was enjoyable and reasonably priced. Since we noted the celebration of a birthday when making reservations, we were greeted by rose petals at our window table and a generous and yummy slice of birthday cake for dessert. The coffee liqueur we ordered after dinner was a great way to extend our evening as we enjoyed our view of the downtown lights after dark. It was a special night out, albeit at "special" prices. But worth it. I love Salty's. Best view ever and outstanding food! I go there anytime I visit Seattle. It was our first time and it was defiantly a great experience. We will be back for sure. Gorgeous view, impeccable service and delicious food! Had a great dinner with view of the sound. Good service and food as usual. We had a wonderful time! People, views and service was amazing. Thank you for making my boyfriend's Birthday so special!! We visited Salty’s during Restaurant Week. Both of our meals were great. Dane, our server, was very attentive and super accommodating. We have recommended this dining experience to several friends. 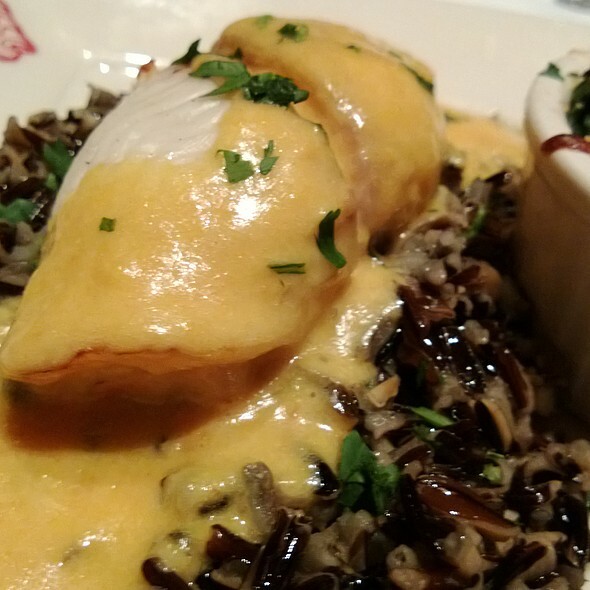 We loved our experience during Seattle Restaurant Week! 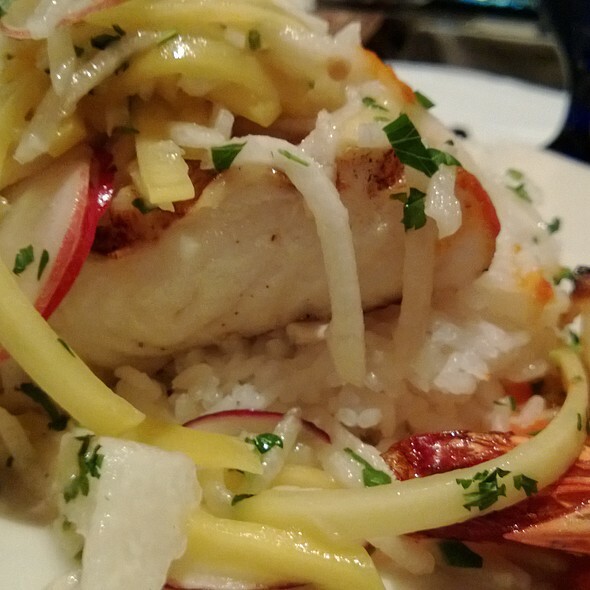 We got to try amazing dishes for a reasonable price. Our waiter, Gregg was phenomenal. He was very attentive, and provided great insight on the different options. My only disappointment was we were not seated next to the windows. I made our reservations two months in advance hoping to get the best seats. The food was as good as advertised, not to mention the variety. It isn't for most of us on a regular basis, but it is absolutely worth it for special occasions. Bonus Tip, skip the carbs & go with the prime rib & Crab options to maximize the deal you get! Cocktails in the bar were outstanding and service was excellent! Wish I could say the same for the dining room . The food was very very good . Our server seemed to have some sort of chip on his shoulder, especially towards one of our diners in particular, unfortunately he was the host paying the bill . There was quite a lag from when we were greeted at the table to when we were asked if we would like to order appetizers. The host joked he thought our server forgot about us and that was it , our server from there on out didn’t seem to thrilled with our table. I would have expected less attitude from such a small comment. His salad came out a mess , somehow the pepper got all over the table and not as much on the salad and the server seemed to give him a hard time about what he was ordering. Honestly I was a little embarrassed since I suggested the restaurant. I have always had great service at Salty’s so I hope this was an off night. 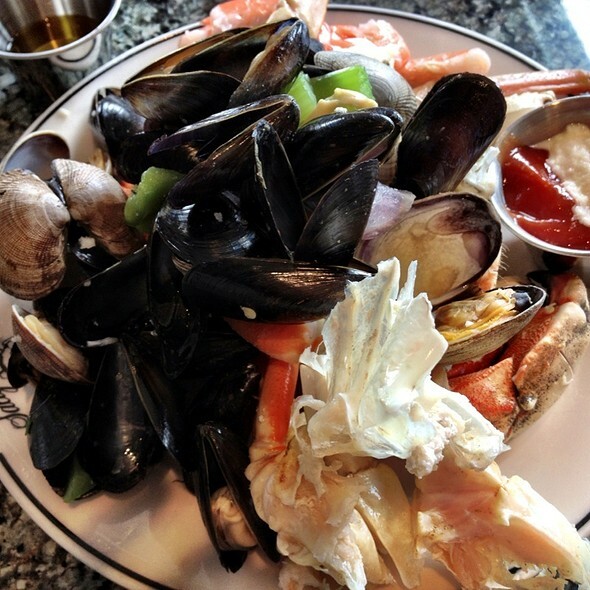 Sty’s Alki Beach has great food, excellent service, and a great view of the city of Seattle. Prices are what you think for Suberb food. Except for the noise level, may be we were seated too close to the bar area. 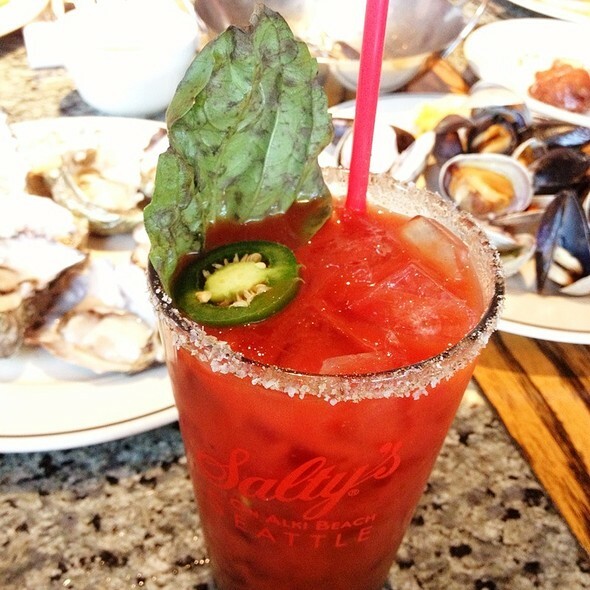 Salty's is an event - a place for a celebration, with it's great view an outstanding service. Ours was a birthday and Salty's didn't disappoint. The fish dishes were good, but for those prices, lacked imagination. And we'll probably find ourselves back there again the next time a birthday needs to be recognized in a special way. Thank you all for a wonderful evening! Food, service and ambiance were awesome. Made reservations ahead of time and we were seated with a view of the Seattle skyline. Good service, friendly staff, good food choices, professional waiter, overall very welcoming. Beautiful restaurant with wonderful food and attentive service. The view is outstanding! Highly recommend. This place is a MUST in Seattle. Always, the food and service are excellent, especially for the weekend buffet. The experience was marvelous! The view, the service, and the food were outstanding!! Just the price is a bit high and makes it difficult to visit more often. Still love the place and will keep saving for next time!! The line was out the door and parking was nearly impossible. Had someone walk right up in front of us and get served even though everyone else was waiting in line. Had a reservation for 12:45 and did not get seated until after 1. Extremely crowded and hard to even move. People continuously knocking into you. Wound up with food on my clothes. Long line for the fresh seafood, people just cutting in and getting served first. 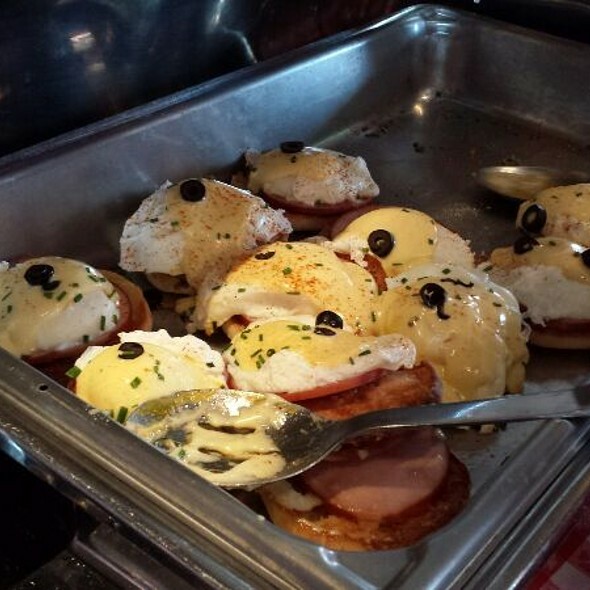 The regular eggs Benedict was overcooked with no yolk left. The prime rib was cold, the fat parts completely solid. One highlight is the pasta bar... Highly recommend trying the shrimp ravioli. The drinks are OK, had mimosas. But for $11 it's small and weak. We went for Sunday brunch to celebrate a birthday. The table was at a window with amazing views. They even had balloons for the birthday girl. The service was outstanding and the food was beyond amazing. Everything was great, as always! They set up our table with rose petals and a sweet card for our anniversary, and we were sat by the window as requested! The only miss was that we had to ask for our check twice, and ended up waiting about 20 mins for it in total (server apologized and was very nice about it). Otherwise, it was perfect! 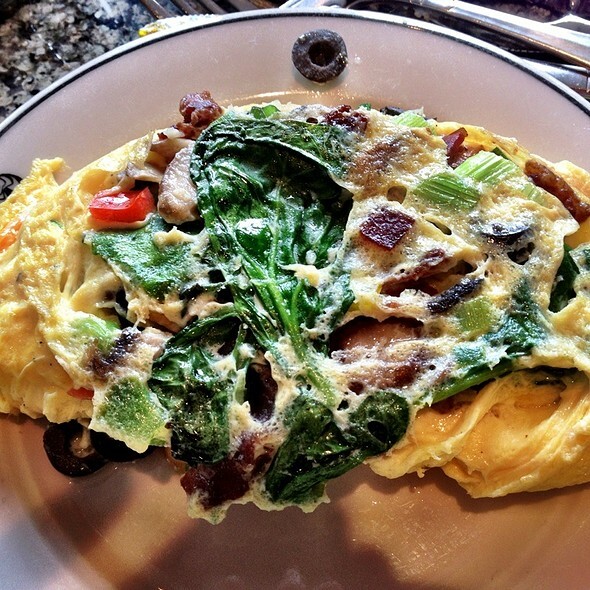 We have been to Salty's for brunch numerous times over the years and over all, we keep coming back because of the amazing food at the brunch buffet. The food is amazing, still, however we've watched the per plate prices continue to go up and up and the quality of the service and the experience go down, down, down. I think the price is now up to $65 per plate. I've noticed it seems more crowded everytime we go, which translates to more noise, longer waiting at the most popular food stations and more frequently having to wait for the item you want to be replaced because what was there ran out and they hadn't refilled before it ran empty. In the wait area, before you are seated, they have a nice spread of a few treats and coffee and hot cocoa. Of course half of the items that were supposed to be there were gone and simple not refilled and I had to go ask for coffee cups because there weren't any. We were seated 15 minutes after our reservation time even though we arrived about 15 minutes early. To top it off, when we arrived and checked in, the attendant checking us in had the audacity to tell us that we are only allowed to be there for an hour and a half. Now, I can't imagine that I'd stay there any longer than an hour and a half, nor do I think any of the times we've ever been there in the past did we ever stay longer than an hour and a half. But when we are paying $65 /plate for 7 people - I think it was very bad taste and honestly borderline offensive to say that. It speaks highly of a very greedy mentality. This poor experience was very surprising to me, not what I expect nor are even used to experiencing at Salty's. However, for the price they now charge, I definitely think it's worth trying out a few new restaurants, that might, perhaps even appreciate our business.